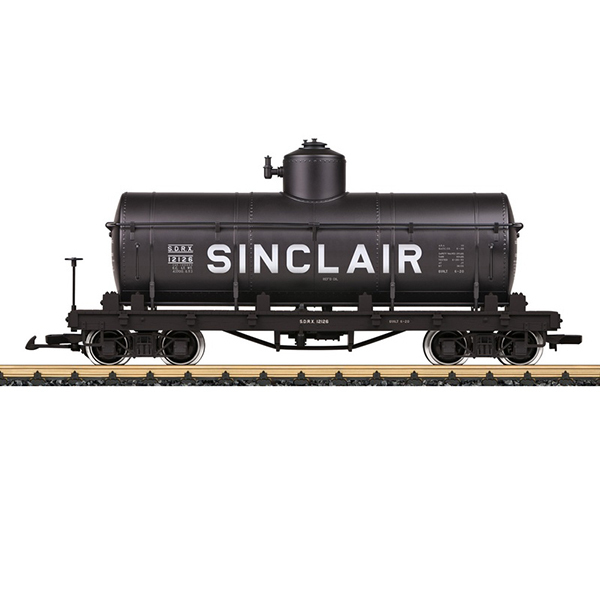 Product: This is a model of a four-axle tank car for the American gas station chain "Sinclair". It is prototypically painted and lettered for Era III. The car has many separately applied details, and the tank can be filled and emptied. The car has metal wheel sets. Length over the couplers 42 cm / 16-1/2".